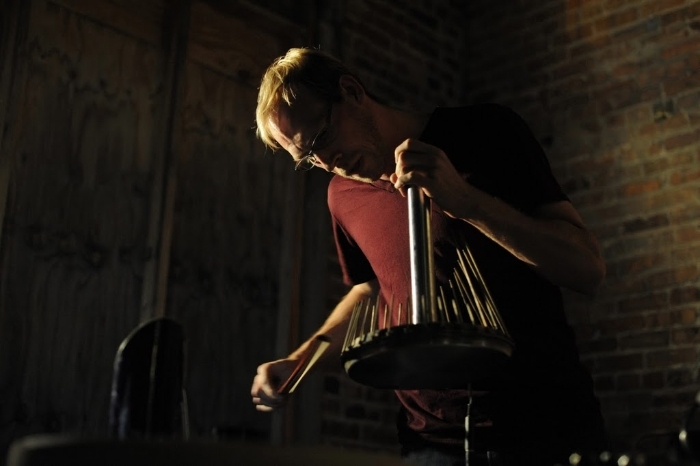 As a percussion focused multi-instrumentalist, Grady Gerbracht performs as a soloist as well as in several ensembles. 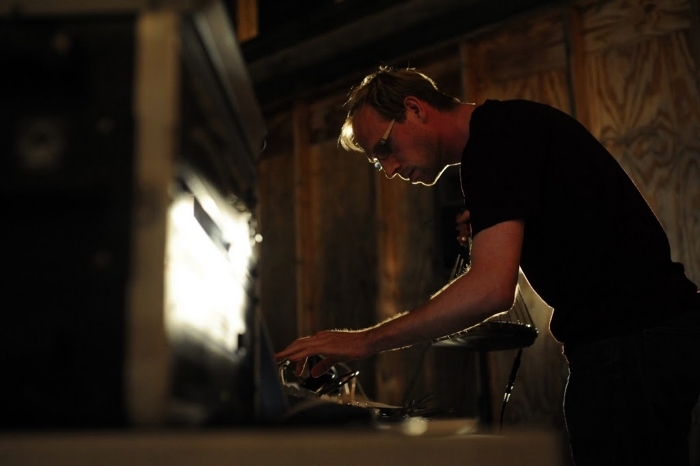 He leads workshops composes sound tracks for films and performs with musicians, contemporary dancers and experimental video artists. 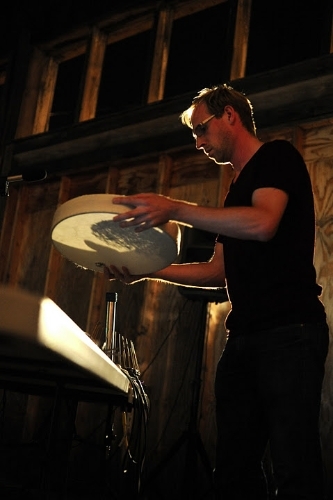 Gerbracht’s performances often make use of and draw attention to the venue itself. He sees architectural spaces and even the landscape as instruments to be played not neutral spaces to be performed in. 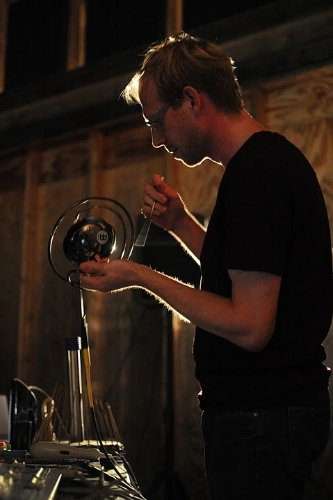 Similarly, everyday objects are often wired up as part of his custom built electroacoustic percussion rig. Though he uses technology, he is more interested in using lo-fi, analog, and physical means to generate sounds which may sound digital and or heavily processed. Gerbracht enjoys collaboration and often performs with, among others, Ideosynchronic, the Re: Percussions collective, The Restrictor, viDEO sAVant, Floor Models, and Anarcho Art Lab, a loosely structured collective of interdisciplinary performers presenting monthly themed events at The Living Theater.